I Qualify for Both Chapter 7 and 13 Bankruptcy -- Which Should I Choose? I Qualify for Both Chapter 7 and 13 Bankruptcy -- Which Should I Choose? Higginbotham Bankruptcy Law Firm > Bankruptcy > I Qualify for Both Chapter 7 and 13 Bankruptcy — Which Should I Choose? 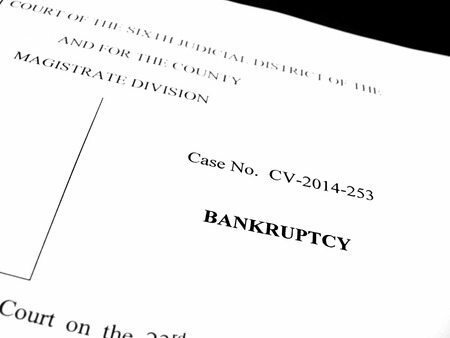 I Qualify for Both Chapter 7 and 13 Bankruptcy — Which Should I Choose? While many people do not have the option to choose between Chapter 7 bankruptcy and Chapter 13 bankruptcy based on their finances and the debts they owe, some people do have the ability to select which type of bankruptcy works best for their situation. If you pass the means test and are eligible for Chapter 7, but are considering whether or not a Chapter 13 may be a better choice, here’s a few guidelines to follow. Do not owe a lot of secured debt. Secured debt, like student loans, cannot be discharged in most cases. Do not have a significant amount of disposable assets, e.g. a boat, a second home, etc. Do have a fair amount of unsecured debt, including credit card debt and/or medical bills. These bills are often settled for pennies on the dollar and are wiped from your record after a Chapter 7. Have a high debt to income ratio. Even if you do not pass the means test, a high debt to income ratio may still qualify you. Have a fair amount of secured debt, such as owing back taxes. A Chapter 13 bankruptcy will force these entities to give you a longer repayment period than they originally would if you attempted to set up a voluntary payment agreement with them. Have assets that you would prefer not to be liquidated, such as special family heirlooms. Have a lower debt to income ratio. Under a Chapter 13 bankruptcy, you are required to pay back all of your debts under the court-structured payment plan. In order for your bankruptcy to be approved and for you to be able to successfully make your payments, you want to be certain that you have the funds to make your monthly court ordered payments. An experienced bankruptcy lawyer can help you evaluate your individual circumstances and needs and can make a recommendation about the best type of bankruptcy for you. Contact the Law Firm of D.C. Higginbotham today to schedule a consultation and find out how you can get in control of your finances and start over fresh. Call now at (904) 354-6604. We would love to meet with you soon.